We at Ikko Trader, has grown exponentially and are constantly expanding our business since our inception. 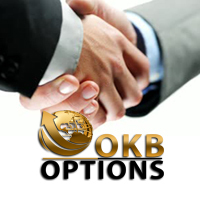 We are the first and we remain standing at the forefront of the industry, promulgating binary options trading as a simple, fast and efficient method of investing. Ikko Trader has been in the field since the beginning, and has been working its way up the ladder to reach its clients around the globe. But this is not enough, as we are in need of dynamic and outgoing individuals who will promote Ikko Trader to other potential customers. Become an Ikko Trader affiliate today and start making revenues. Being an Ikko Trader affiliate not only gives you profitable opportunities, but also builds a strong partnership with Ikko Trader. We want to construct a loyal base of customers and in order to do this, we need to shape up our relationships among our affiliates. We provide our affiliates with creative yet top-of-the-line marketing tools to promote our website, such as Flash banners, GIF/PNG/JPEG files, mailers, landing pages and our exclusive Ikko Trader presenting content. What’s more, all these banners are updated frequently to provide our affiliates with the best marketing tools and resources. Open an affiliate account for free. Fill in the registration form by clicking on the “Become an Affiliate” page and enter the necessary details. Click on “Send Request” button when finished. We will contact you as soon as possible upon sending your request. If the conditions are met, we will open your affiliate account and proceed to the next step. Ikko Trader will provide you with a range of marketing tools which are essential to promote your website, such as banners, images, landing pages and other unique content. These tools are available in French, Italian, Spanish, Russian, Portuguese and German languages. Install these tools on your website. Should you need assistance with the installation process, just contact our support team. One compelling advantage when you join Ikko Trader affiliate program is that we offer the industry’s highest conversion rates. We have a competitive CPA shares and revenues depending on your affiliate account. With our financial analysts and customer support, we will help you increase your website traffic. Ikko Trader affiliate managers are standing by to take care of all your needs and ensure that you have all the tools you need to succeed. Plus, you can also get tips and professional advice on website ranking and search engine optimization. Binary options are not limited to traders, even our affiliates can earn substantial profits by simply promoting Ikko Trader to potential clients. With the right tools and comprehensive support, you too can produce revenues. Become an Ikko Trader affiliate today! Click here to sign up for a free affiliate account.